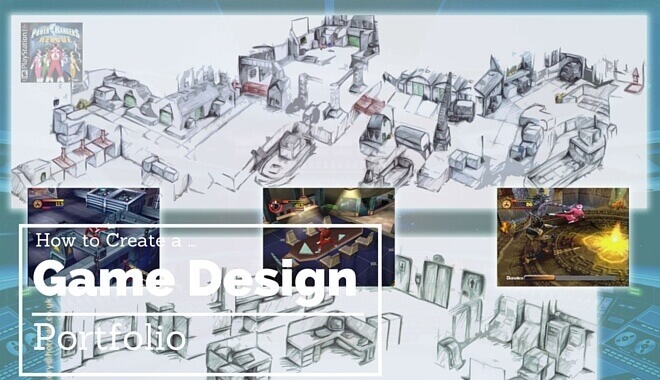 If you’ve ever asked a professor or game developer what steps you should take to get hired by a game company, chances are they’ve mentioned a game design portfolio at some point. Since making games is a costly and challenging endeavor, game studios very careful about who they hire to join their teams. In other words, they want to see more than a diploma or certificate. Once you’ve decided to put the time and effort into making your own portfolio, then comes the hard part: actually building it. If you’re confused about what goes into a good game design portfolio or where to start, you’re not alone. Related Content: Get a degree from one of the top game design programs. Keep reading to see all the advice and information you’ll need to get started on building a great design portfolio for yourself. Do You Need a Game Design Portfolio? If you want to significantly increase your chances of obtaining a job at a good game studio, then yes! A portfolio is the easiest and most effective way for you to show off the relevant work that you’ve done. The fact that most designers have their own portfolio somewhere on the web would mean that you’ve put yourself at a disadvantage by not making one yourself. With many other careers all you need is a good cover letter and solid resume to be considered for hire. However, game companies want to hire designers who can confidently show that they’ve actually done what they’ll be expected to do if brought on board— make games. It also gives you a chance to catch the attention of hiring managers and recruiters who have to sift through tons of applications and portfolios. By making yours attractive and informative, you’re more likely to be remembered and thus called in for an interview. 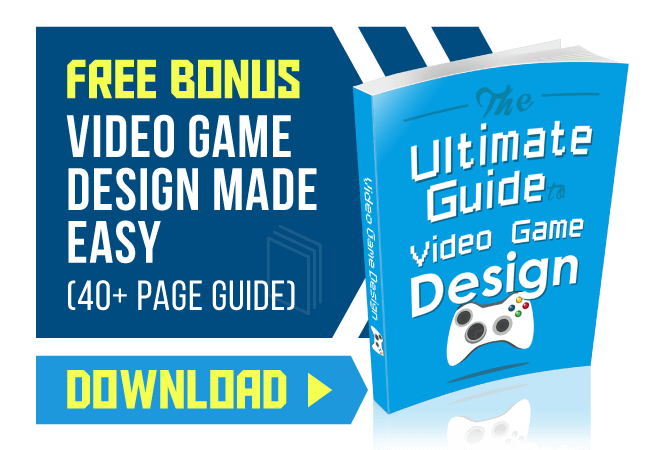 If you’re still a college student or recently graduated and looking to break into the industry, a game design portfolio will help you immensely. The truth is, most game studios want to hire people with professional experience, but that doesn’t mean they’ll never pick up fresh graduates. Some companies even offer positions only to individuals who either already graduated or are preparing to soon. A good example is Blizzard Entertainment. They offer several Associates positions each year that only people currently pursuing a Bachelor’s/Master’s degree can apply to. Software engineers, FX artists, game designers, program managers— there’s always a wide range of positions available to new grads. Of course, competition for these jobs is very high since you can imagine how many students finish college each year. We guarantee you that the recent graduates who earn those positions had plenty to show in the form of a game design portfolio. It most likely included school projects, including the senior capstone game project common in most game programs. It’s always even more impressive if the portfolio also has game projects done in their spare time and/or as a hobby as opposed to for a grade in a class. So how will a game design portfolio help you in your career? A game design portfolio helps you stand out from the huge crowd of people applying to every good game job. Whether you just graduated from a college or have a few or more years on the field, potential employers want to see that you have real-world experience making games, even if it isn’t at another game studio. Game design portfolios are pretty unique when compared to portfolios for other positions— even those in the gaming industry. For example, someone hoping to land a job as an animator or artist will simply cover their portfolio with images of their work, be it 3D models, concept art, etc. They may even add a small description for each image that shares details about the image such as what game/project it was made for. A game programmer or producer will also only have a video reel and pictures of their projects and lists of game they’ve worked on. This is because no one really wants to see code or well-organized excel sheets. Composers and sound engineers will of course have samples of music and sound effects they made for games and other projects. A game design portfolio, on the other hand, can have more than just pictures and videos. A designer who has level design or modding experience can add a few to their portfolio so others can see their work. You can even include links or downloads so people can actually play your levels and check them out first-hand. 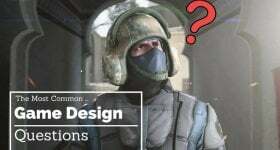 While no one will read a massive game design document, no matter how great it is, game designer portfolios can have blogs and short documents detailing a relevant experience. Recruiters love seeing designers who can effectively document their process while building a game, brainstorming rule sets, and figuring out problems to design problems. What Does a “Good Portfolio” Look Like? Studios are impressed by portfolios that show the person has experience making games. Like mentioned before, this can include anything from images videos of games you have worked on to mods, levels, prototypes, and anything else related to the game design process. A portfolio where you just talk about your favorite games or explain why you’re good at game design (without any proof) will almost always be overlooked. Does a portfolio matter if you only want to work indie? Independent developers, just like publisher-backed game studios, want to make sure their next addition to the team will actually fit in and help make great games. Having a game design portfolio is still very important if you look to make games for a living and an indie dev. Since most indie designers work remotely and with different teams, a portfolio is the best and only way to showcase their experience and abilities. These days it’s easier than ever to get your own online portfolio up and running for the world to see. Coroflot is one of the biggest creative portfolio sites on the net with more than. There’s even a job board where you can post your portfolio make it more likely to be seen by recruiters. A pretty straightforward portfolio site that’s very easy to use, even if it’s your first time making a website of any sort. More than 400,00 people have used Carbonmade to make their online portfolios. Behance has a great list of tools that allow you to make just the right portfolio for you. They even offer social network features like activity feeds, collections, groups, and more. If you want to make your portfolio look even more professional, consider purchasing a domain for it so you have a URL that’s easier to link and includes your name. Like we just mentioned, there are a lot of great portfolio sites out there that don’t require any serious web design or programming skills. Google Sites is also a good choice if you want something that’s free and has a decent level of flexibility. Of course, if you do have web development skills and/or coding knowledge, you’ll have no problem making the right portfolio for you. Your game design portfolio needs to highlight your best work. If you’re a recent graduate or new to the game industry then this might not be a problem since you may not have a lot to choose from. However, if you have been involved in a lot of game projects, make sure to include whatever you’re proud of most. It can be anything from a few pages of a game design document you wrote to visual content showing off a game. Images and videos aside, you’ll also want to include contact information such as email, Skype name, and even phone number. Your resume, whether it’s a download or a link to another page, should also be easily seen and available. If you have relevant pages like a Linkedin or blog, definitely add a link as well. Once you’ve added all the content you feel recruiters will want to see, make sure it all looks presentable. Instead of clutter and multiple pages, try to have only a few (or one, if possible) pages that are neatly organized and easy on the eyes. A messy page will give a bad impression. Once your game design portfolio is ready, feel free to post it on job boards or community forums where game developers visit. Add a link to your portfolio on your Linkedin and online resume as well, and don’t forget to provide a link somewhere in your cover letter when applying for a job. What Does a Lead Video Game Designer Do?